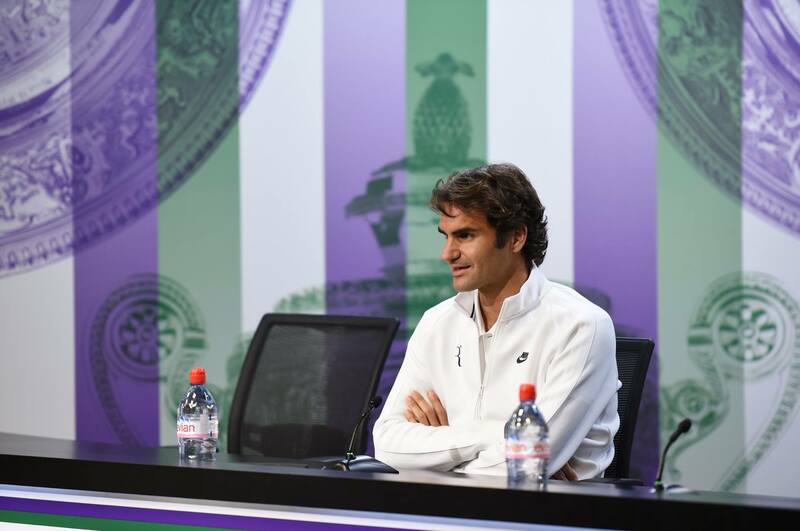 Roger Federer is feeling confident as he seeks to win a record breaking 8th Wimbledon title, and 18th grand slam. The Swiss maestro is coming off winning his seventh Gerry Weber Open title in Halle, and believes he is in the mix for another title at the All England Club. “I feel like I’m a contender for the tournament,” said the World No. 4, seeded fourth this year. “I feel like if things click here, I should be able to win the tournament; whereas at Roland Garros I feel like I’m slightly more dependent on [Nadal]. The 32 year old says that he feels more prepared to vie for the title this year, compared to last season’s struggles with a back injury. With his third straight title in Halle last week, Federer believes his preparation is on course. The Basel native also addressed his early exit from Wimbledon last year, when he tumbled out in four sets in a second-round defeat to Ukraine’s Sergiy Stakhovsky. Federer begins his Wimbledon 2014 campaign on Tuesday.